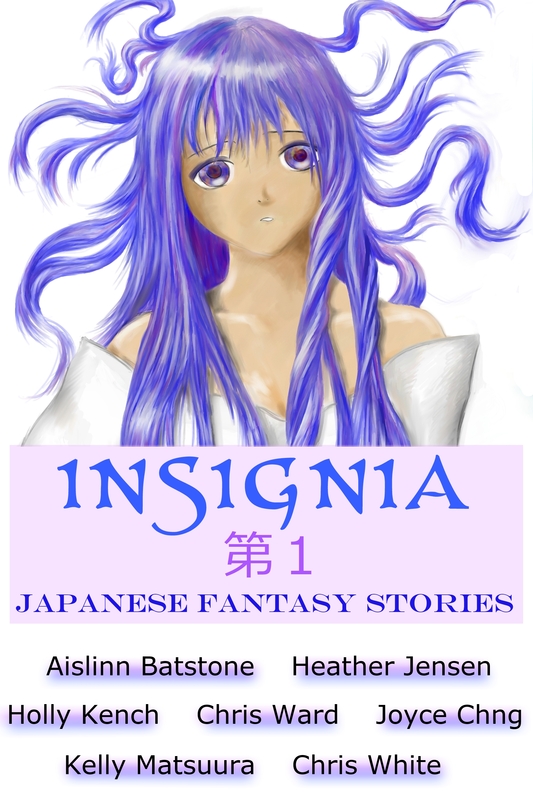 As the editor for ‘Insignia: Japanese Fantasy Stories’, I selected my own stories to include last. I like writing myth-based stories too, but I already had 4 submitted from other authors, so I decided to include this ninja story, Moon Shadow as it is a straight fantasy YA piece. Although come to think of it, there are some traditions and myths surrounding ninja and even Japanese magic that I put into my story! It was getting dark. Moon Shadow put on his boots, and double-checked his weapons and magic pouches. Confident that he was prepared, he covered his head and face with a black scarf. His best friend, Creeping Mist, came to join him fully dressed as well. “Ready to go?” He stretched his shoulders and wrists. “I’m ready. Is it just us two?” Moon Shadow asked. “No, we’re going with three others to capture a witch. Another group is going into town to grab some boys.” Creeping Mist’s face fell. It was a task they all hated. Knowing it had happened to them once too only made it worse. Most men were grateful that their memories of their childhood and families were erased after arriving at the training camp, but it was also heartbreaking to have no one in the world except each other. Moon Shadow and Creeping Mist had no way to know where they’d come from, but some instinct told them they had grown up together. There was an unspoken sense of love connecting them. “Urgh, I hate taking boys, but I suspect it’s a lot less dangerous than facing a witch. Do you know anything about her?” Moon Shadow asked as they walked to the edge of the woods. “Does such magic exist?” Moon Shadow had never heard of such a spell. Kelly Matsuura grew up in Victoria, Australia, but has lived most of her adult life in the northern hemisphere. After a year teaching English in China, she moved to Japan where she met her husband and lived for ten years in Nagoya, Aichi Prefecture. Due to her husband’s work, she’s enjoying a few years back in a western country, living in Michigan, USA. Kelly has published numerous short stories online, in group anthologies, and in two self-published anthologies. She enjoys writing in various genres: fantasy, literature, young adult, and romance. She majored in Asian Studies and Japanese at university, and currently studies Chinese, German, French and Spanish purely for interest. As the creator and editor for The Insignia Series’ anthologies, she hopes to use her knowledge of the Asian languages and culture to assist the other authors produce great stories and to share the group’s work with a new audience.